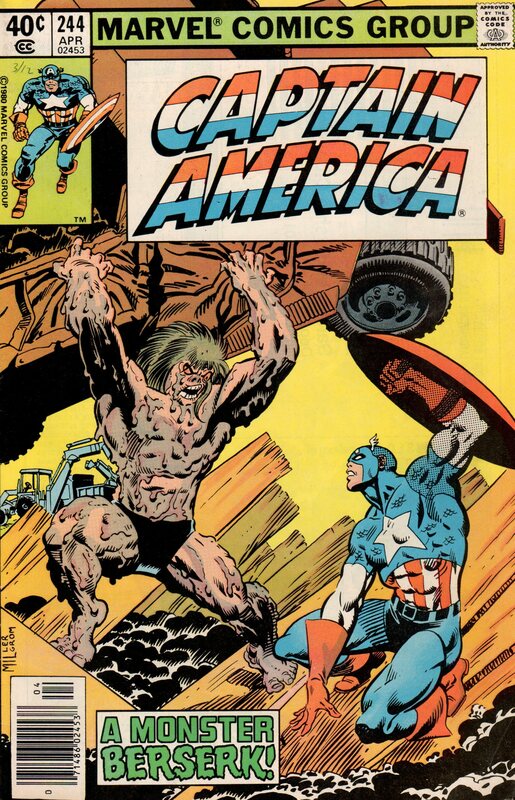 Captain America | Magazines and Monsters! 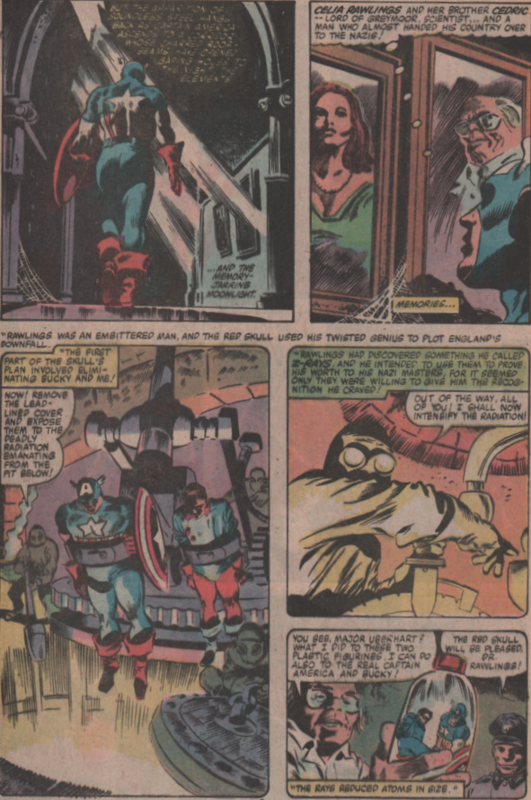 Admittedly, Captain America probably isn’t the best comic book to spotlight in the month of October amidst the ghosts and goblins running amok, but this story (and a few others) is a bit of an exception. 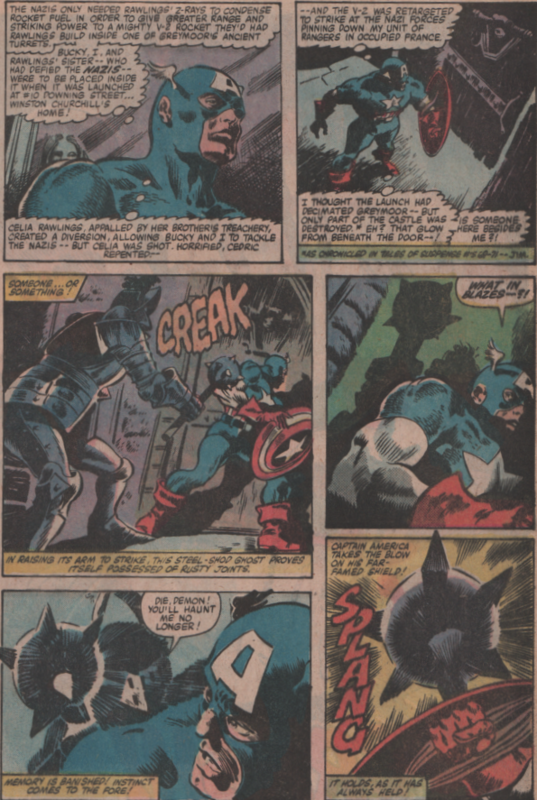 Set in northern England, Cap returns to a place that he and his old partner Bucky fought against the Germans many years ago in WWII. 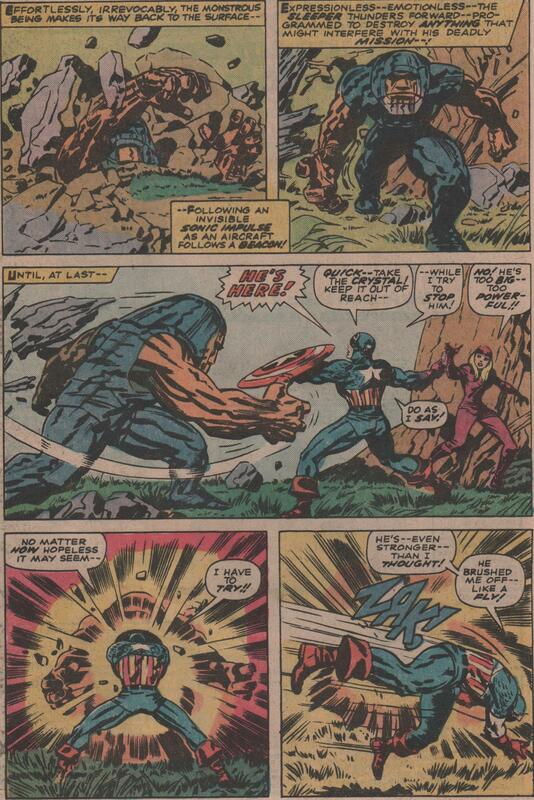 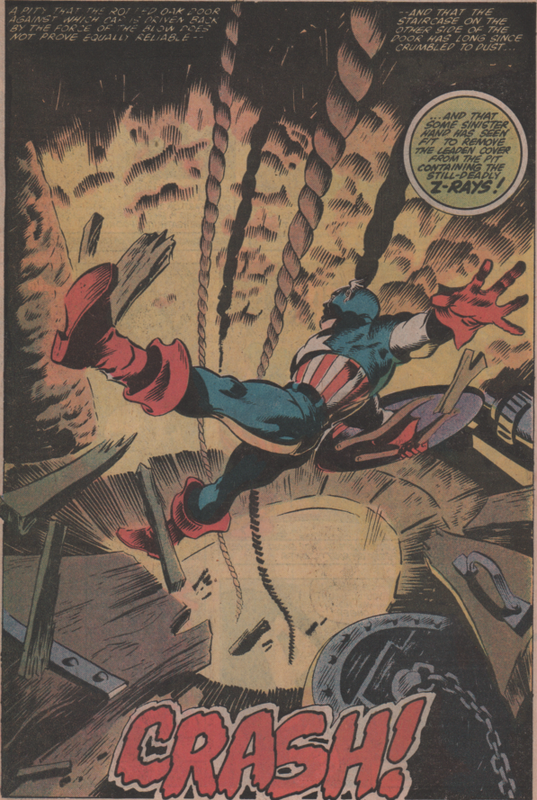 This little excursion is taking place on the heels of Cap having a hair-raising experience with his old foe, Baron Blood (Roger Stern and John Byrne). 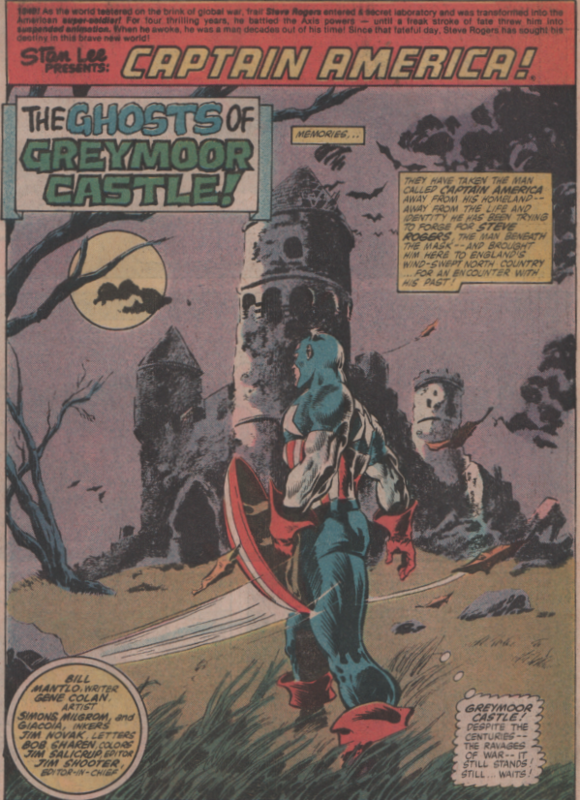 Now he must face an old castle full of memories, and ghoulish threats! 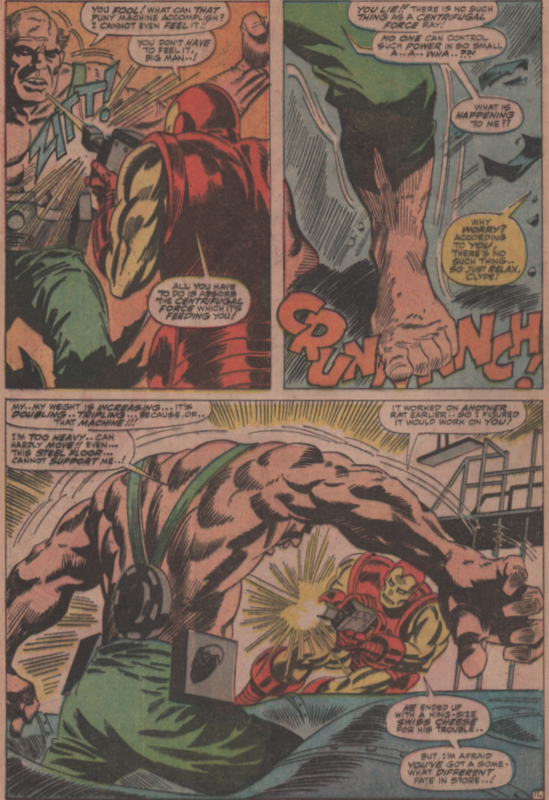 This one is written by Bill Mantlo (Incredible Hulk, ROM, The Micronauts), and he has a group of fans (including me) that just adore his work. 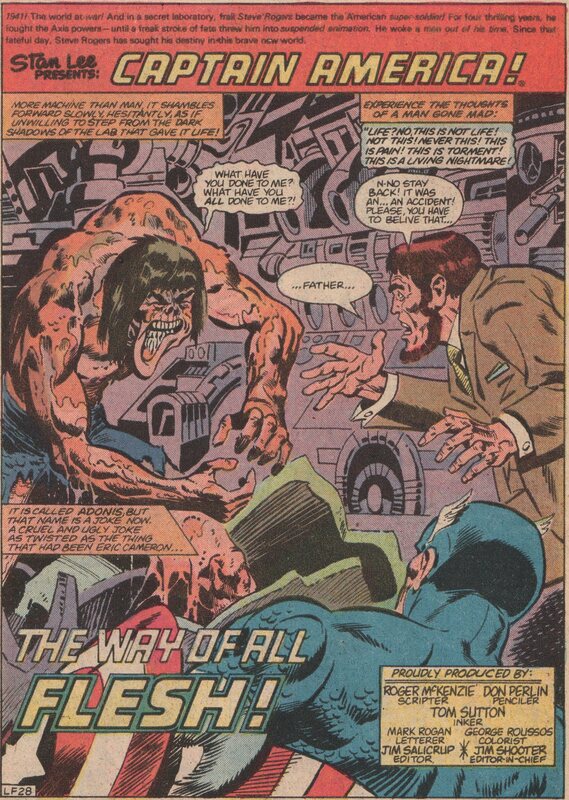 ROM and The Hulk specifically are very good works of his to read, and they can usually be found at fair prices anywhere. 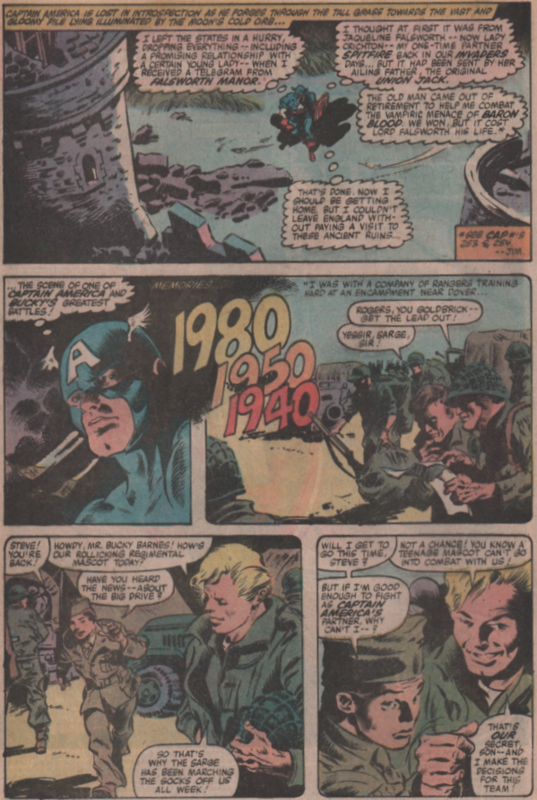 The artwork features the always ready to produce, Gene Colan (pencils). 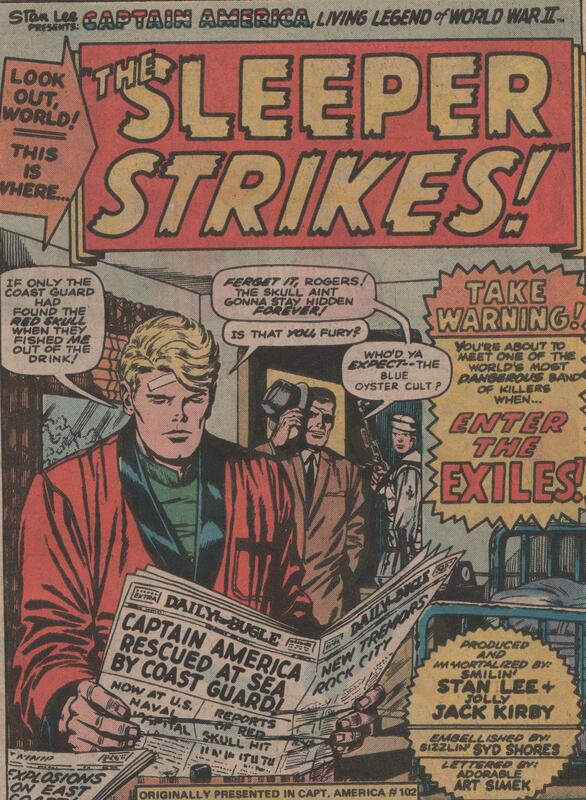 Overall the book is pretty even but there were three inkers on this issue (late on the deadline? 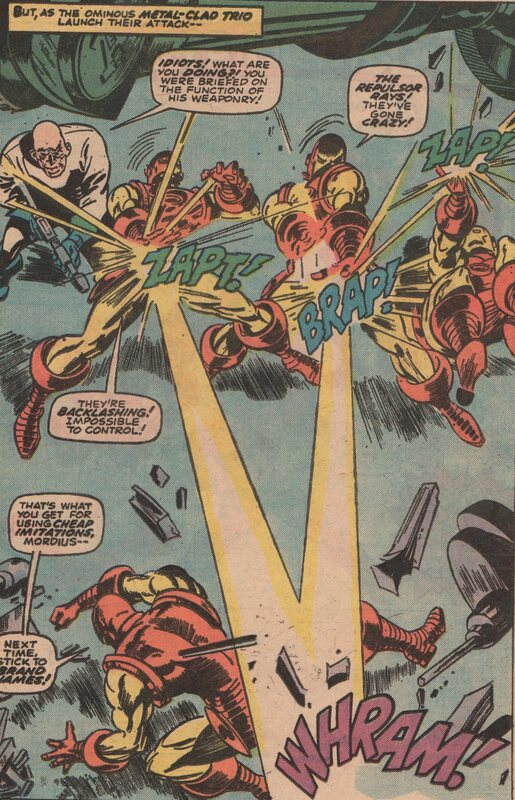 ), so things do get noticeably different in spots. 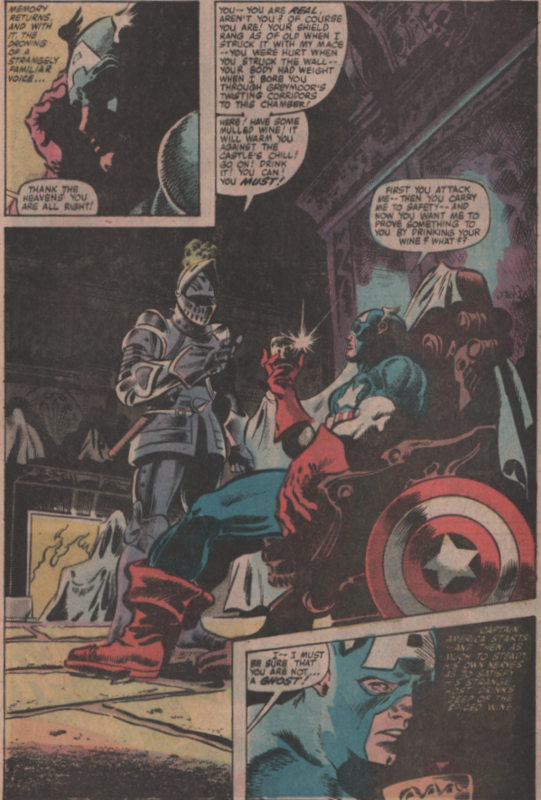 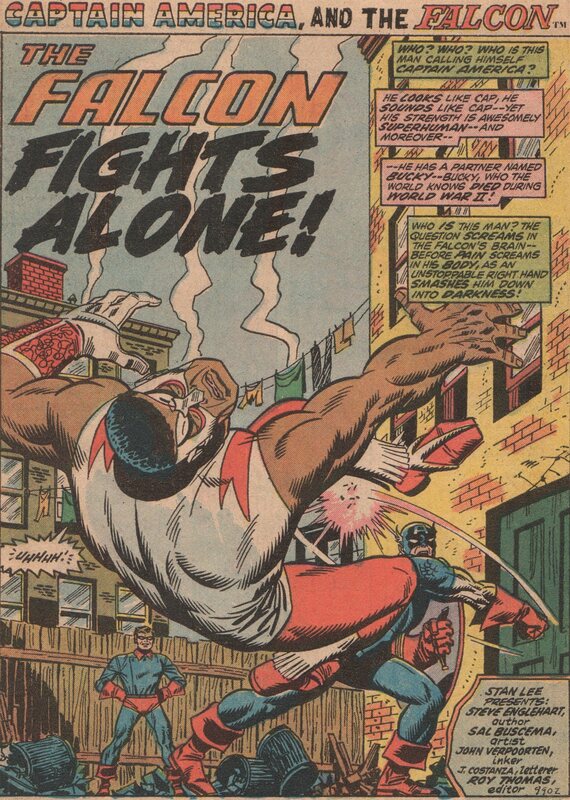 Dave Simons, Al Milgrom, and Frank Giacoia shared the duties. 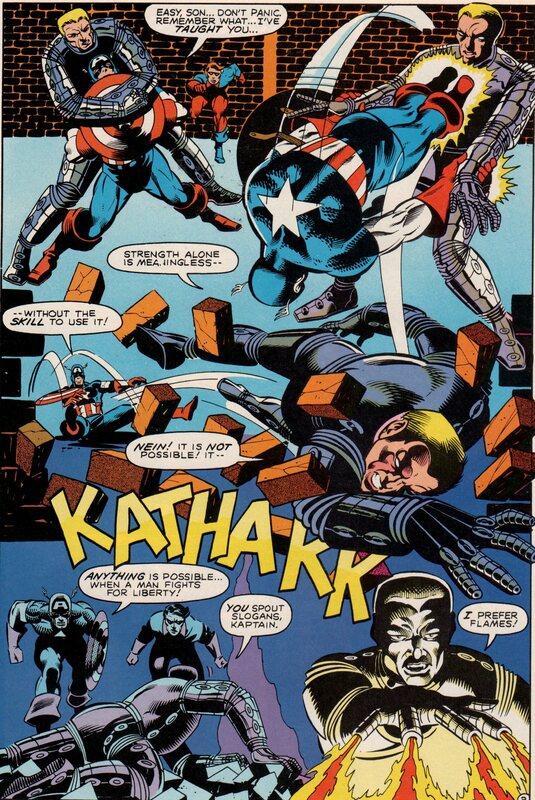 Letters by Jim Novak, colors by Bob Sharen, and edited by Jim Salicrup! 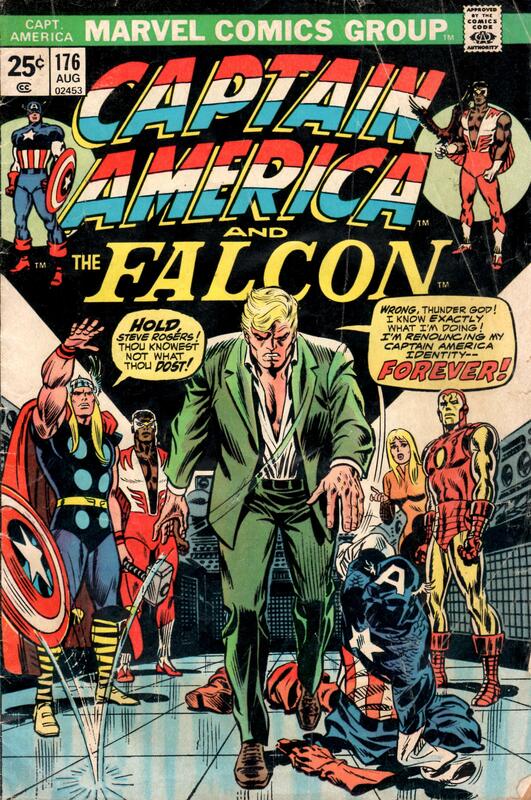 The best is for last, as this marvelous, excellent cover is by none other than Marie Severin! 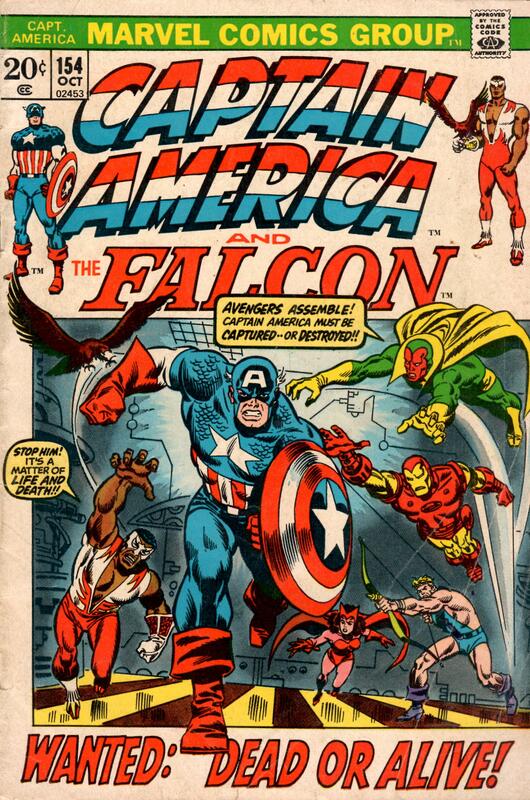 Now that Halloween is over, Lets get back to some superhero comics! 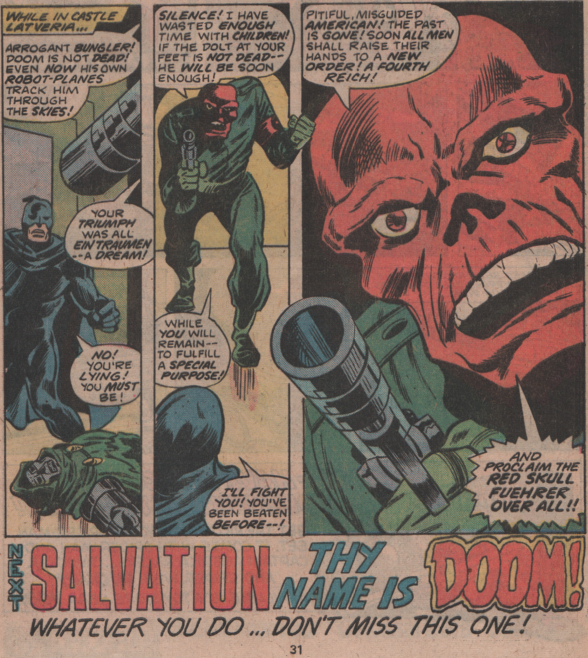 And why not start off with something from the King?!! 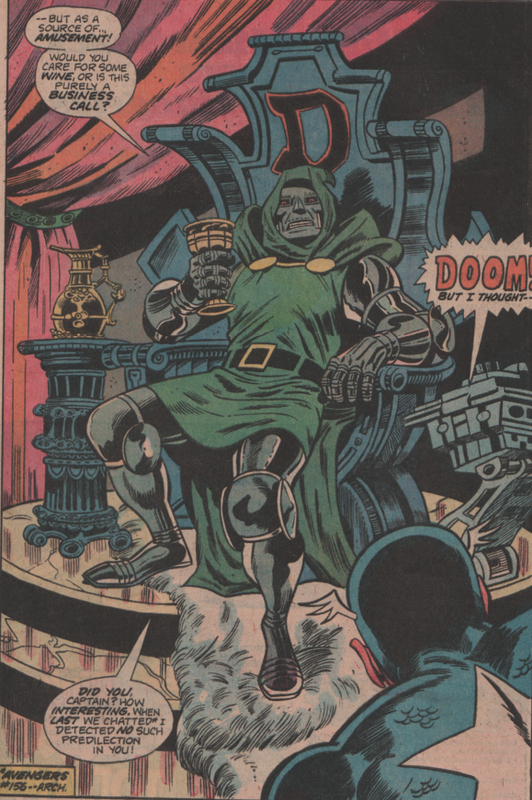 When people talk about the return of the king, I don’t think of a Hobbit, I think of Jack “King” Kirby returning to Marvel in the mid-1970s. 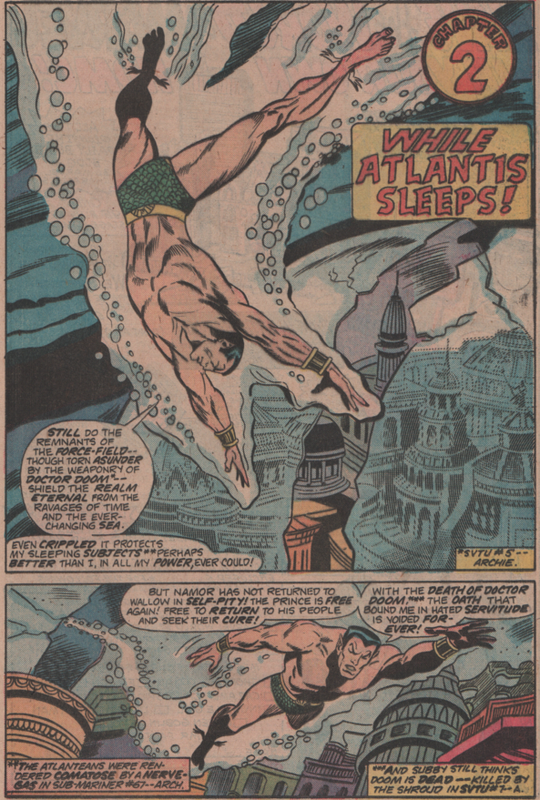 The man was a legend before he left Marvel for DC in 1970, so some may have written off his last works for Marvel Comics, thinking they’d be inferior to his previous works. 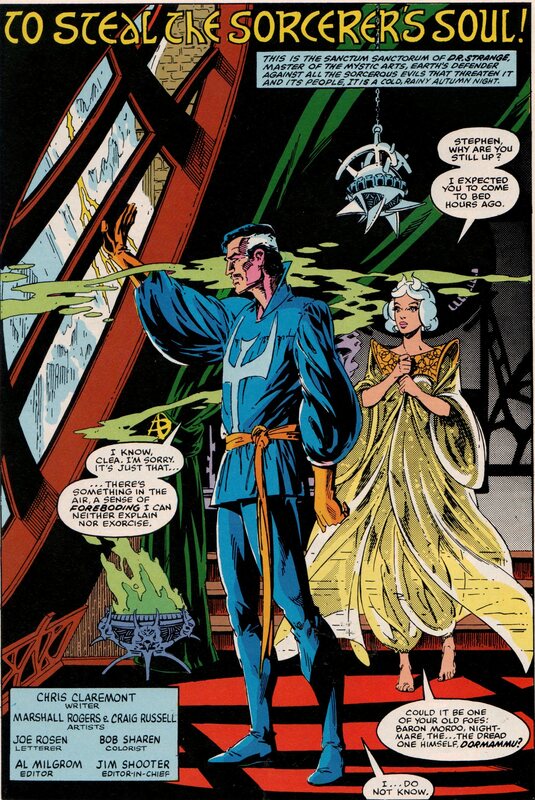 Honestly, his Fantastic Four run is the stuff of legend, and co-creating the Avengers, X-Men, and many other characters/groups is obviously extremely important. 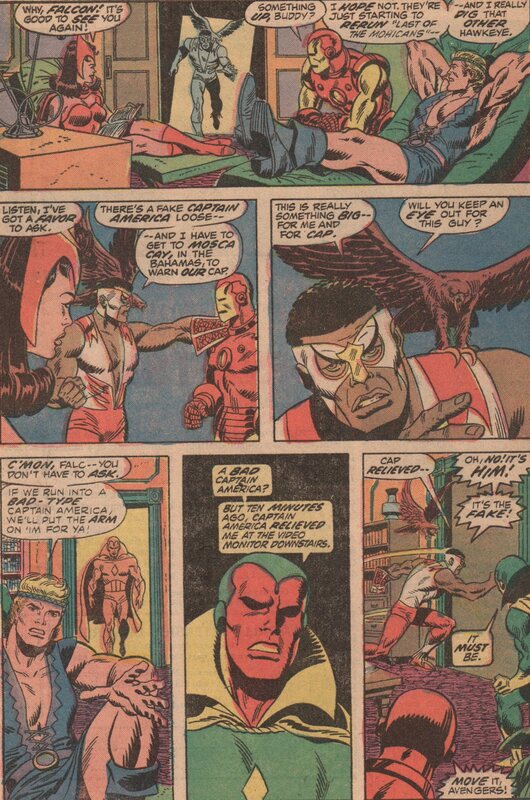 In his return to marvel though, he was able to be in complete control of his work (writing, editing, penciling). 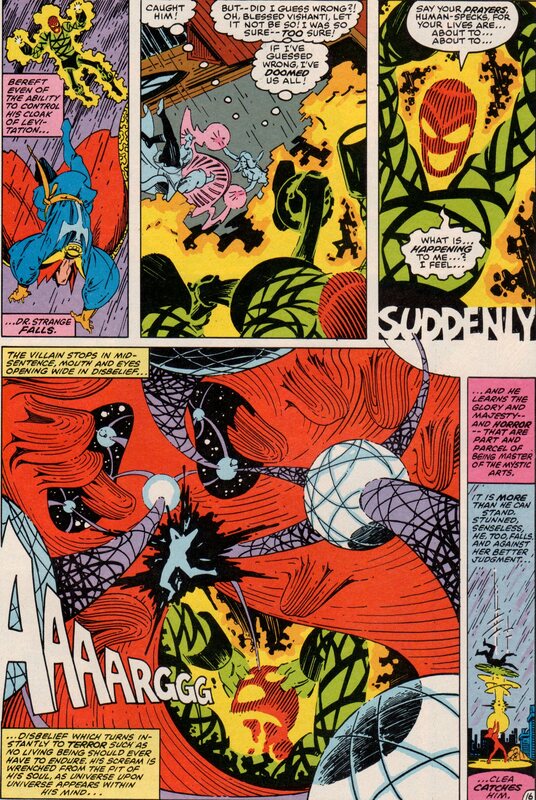 This gave the world some iconic and trippy books that are also the stuff of legend! 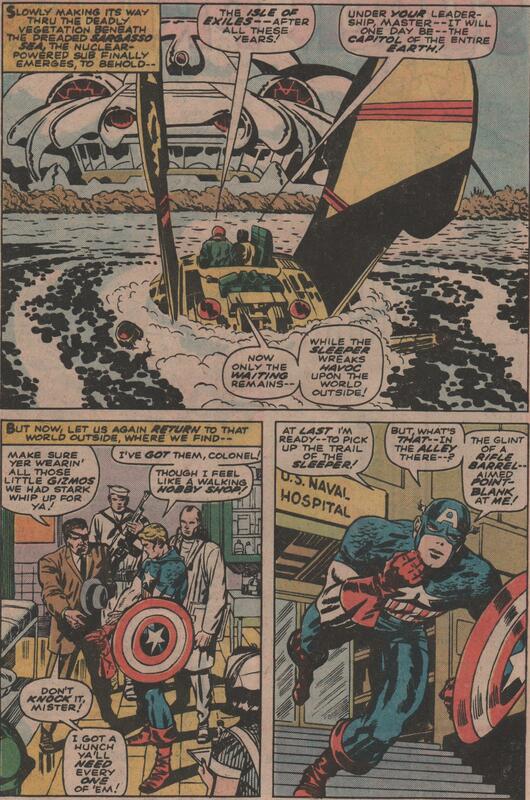 In this issue, we see Steve Rogers get kidnapped by a terrorist group in Central America. 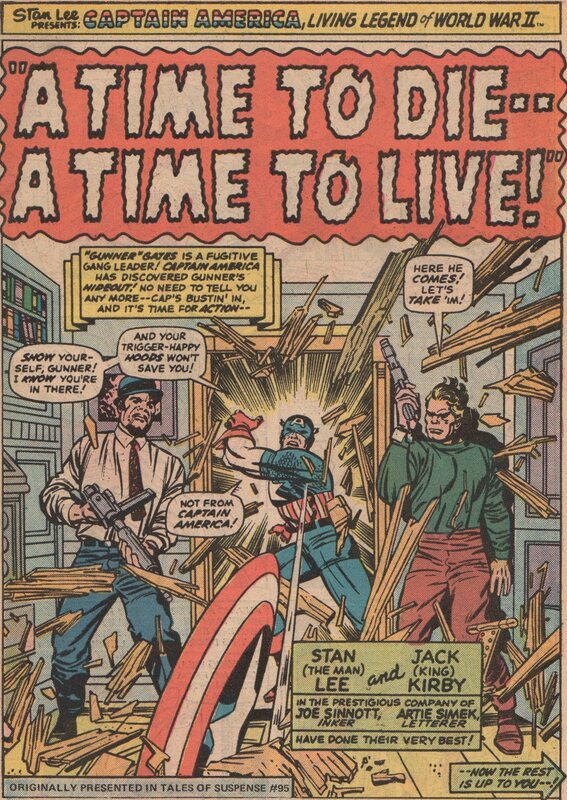 The story is one that has a slight humanitarian angle to it (explained by Jack Kirby in the intro), but it’s basically a Cap issue where he shows good versus evil. 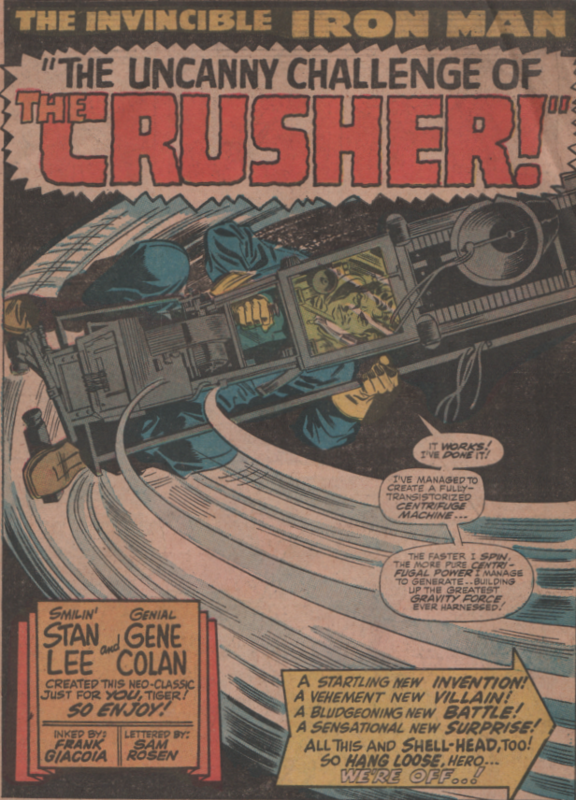 Nothing to heady but definitely a good read that keeps your eyes on the paper, especially from his marvelous visuals. 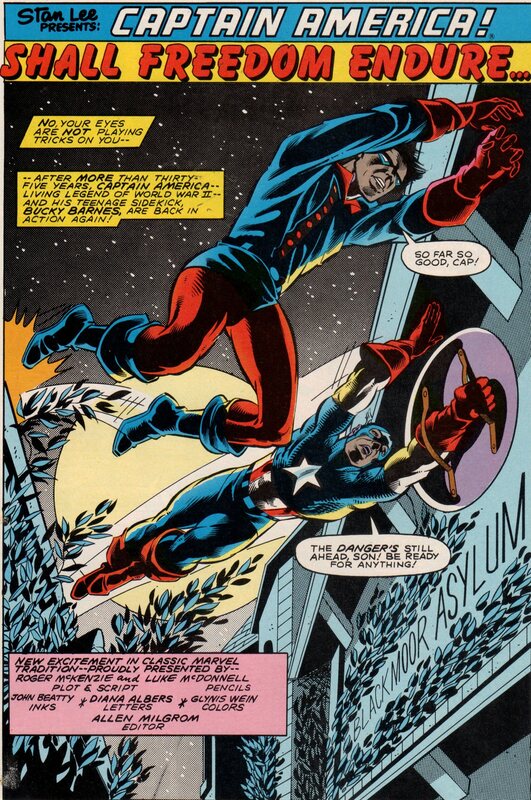 The inks are by “Fearless” Frank Giacoia, letters by Jim Novak, and colors by George Roussos. 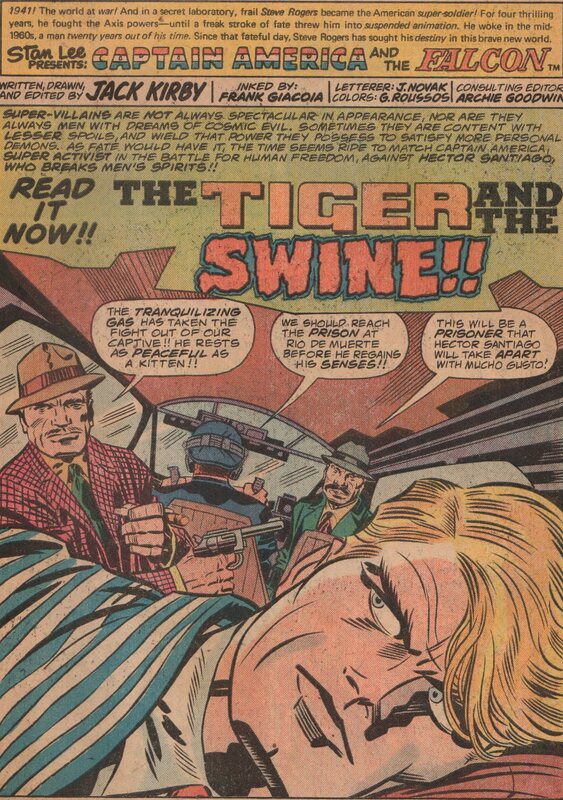 After two solid runs (one by Gary Friedrich and the other by Gerry Conway) on this title, the book was in need of another direction. 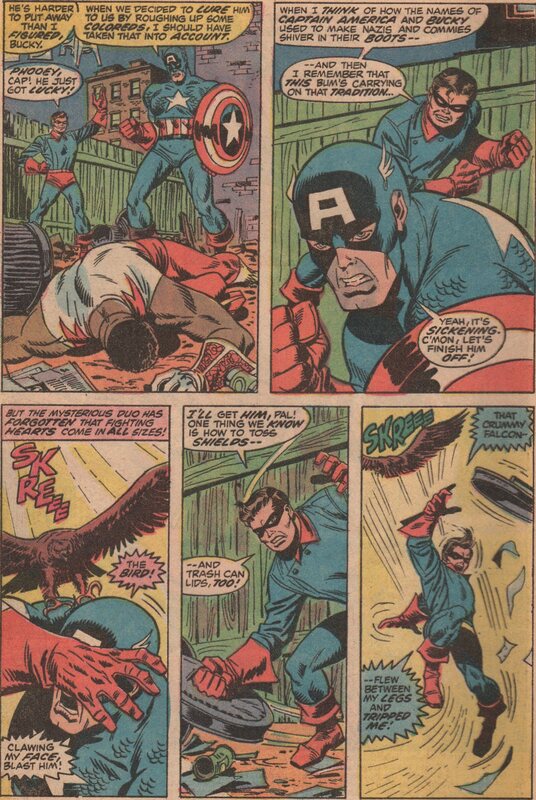 The days of Cap fighting Nazis and Commies was over, and the character was basically spinning his wheels. 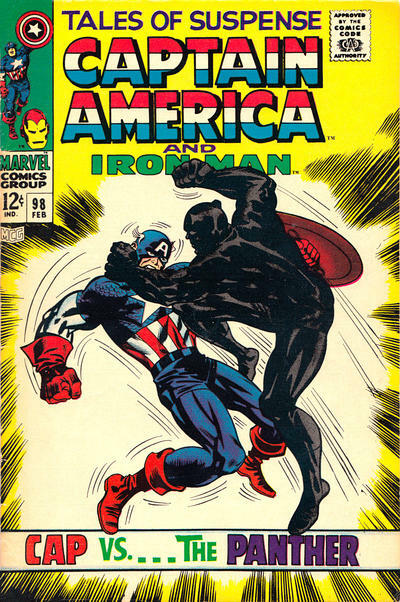 Sure, you had some good stories in the Avengers, but his solo book was about to be redirected and there would be no going back. 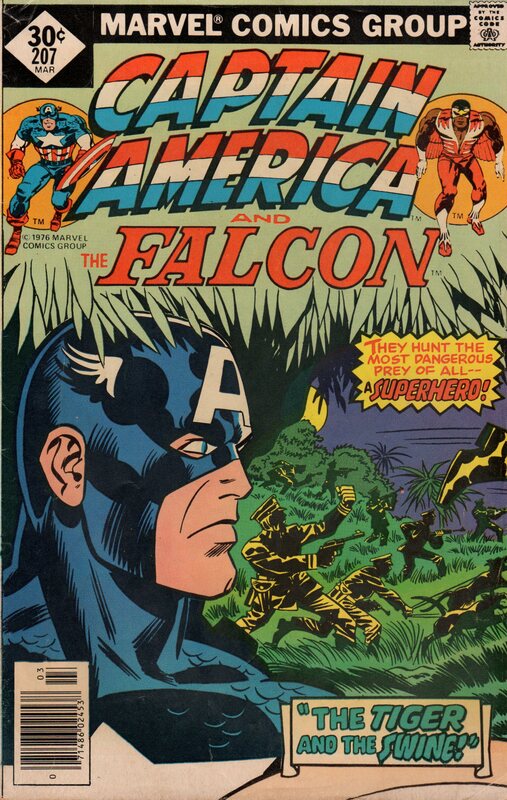 The issue before this one started a storyline where Cap had seemingly turned into a flaming racist, and his old partner (believed dead after this retcon story) Bucky was also back and spouting racist remarks towards the Falcon. 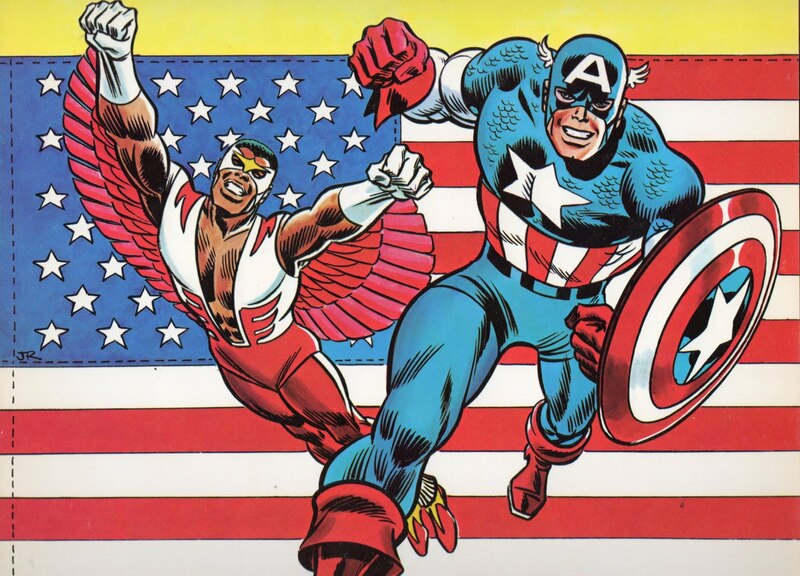 It was an obvious imposter, but who are these two, and how do they know so much about the history of the star-spangled Avenger? 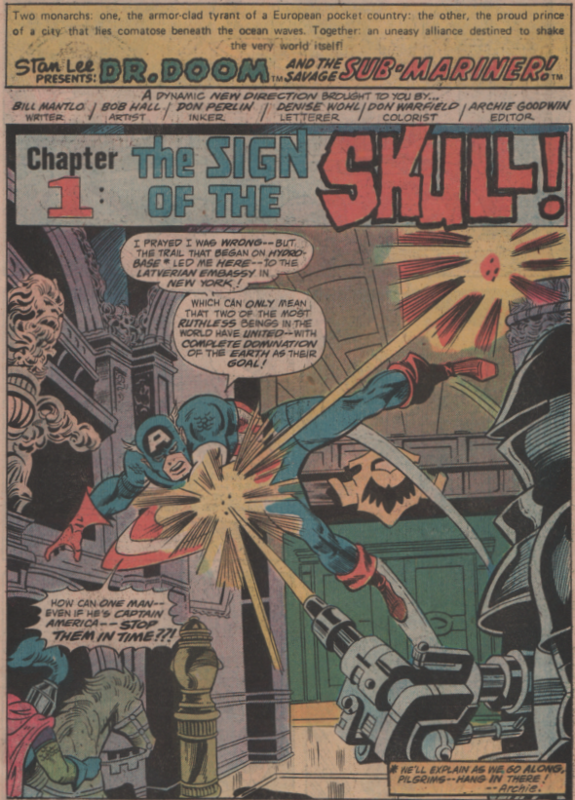 When “Stainless” Steve Englehart (writer) took over this book, most probably had no clue what was in store, and what a wild ride it was! 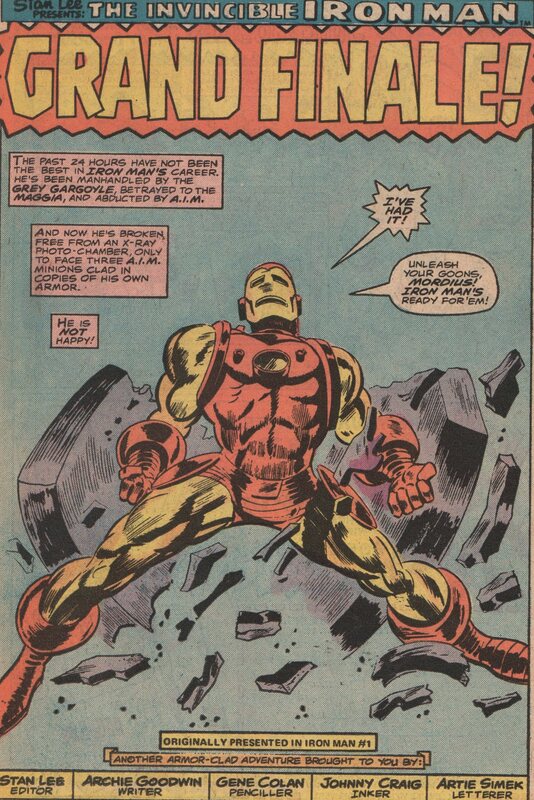 Add into the mix “Our Pal” Sal Buscema (interior pencils and cover, inks by Frank Giacoia) and “Jumbo” John Verpoorten (inks), as the art team, John Costanza letters, and Roy Thomas editing, and you get one of the best the Bronze Age has to offer! 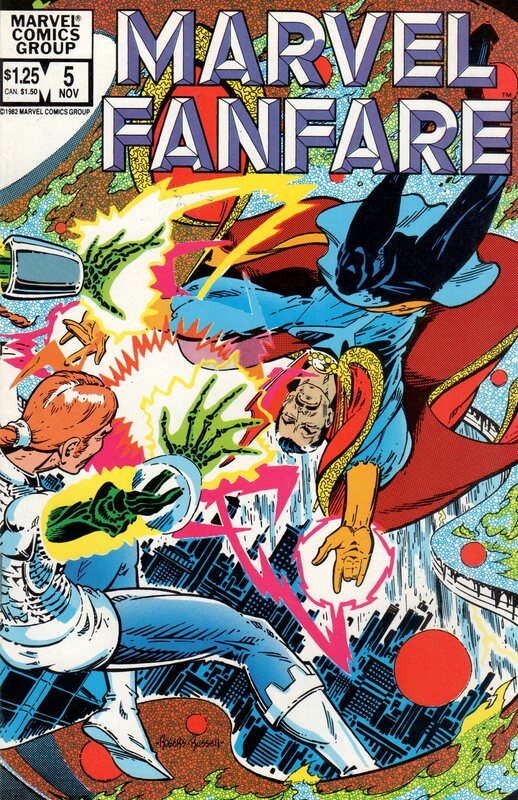 A title that gets barely any attention but really resonates with me is Marvel Fanfare. 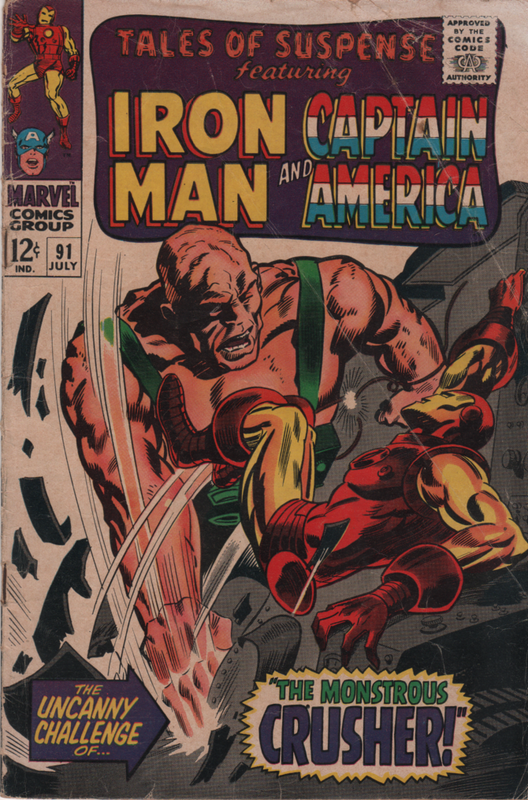 I’m typically not a big anthology book guy, but this one always intrigued me. 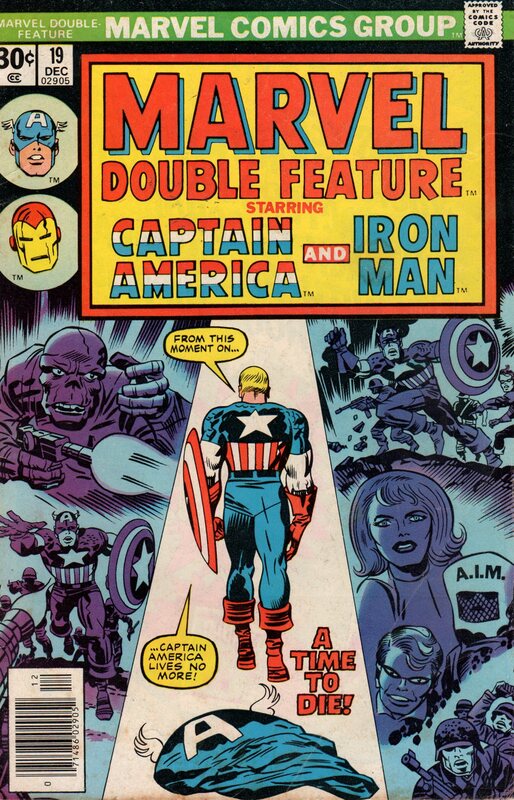 More often than not, you got solid creators, great characters, and some awesome wrap-around covers! 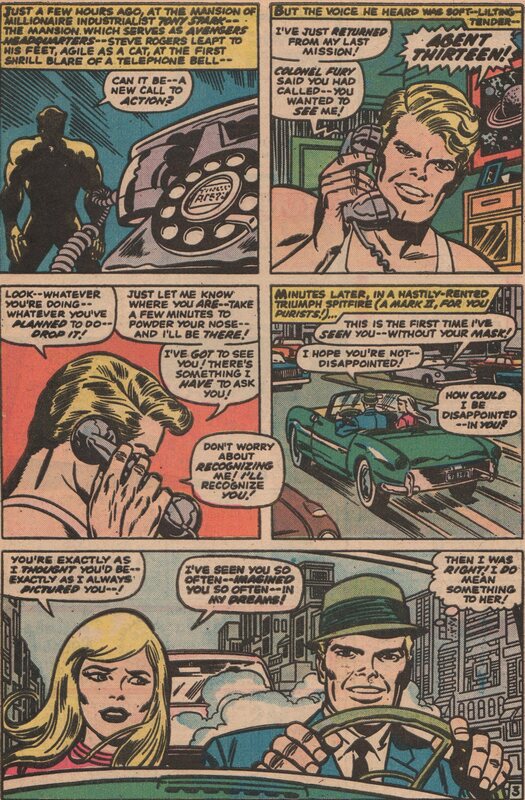 The stories also seemed to be quirky in some way, but not off-putting in any way. 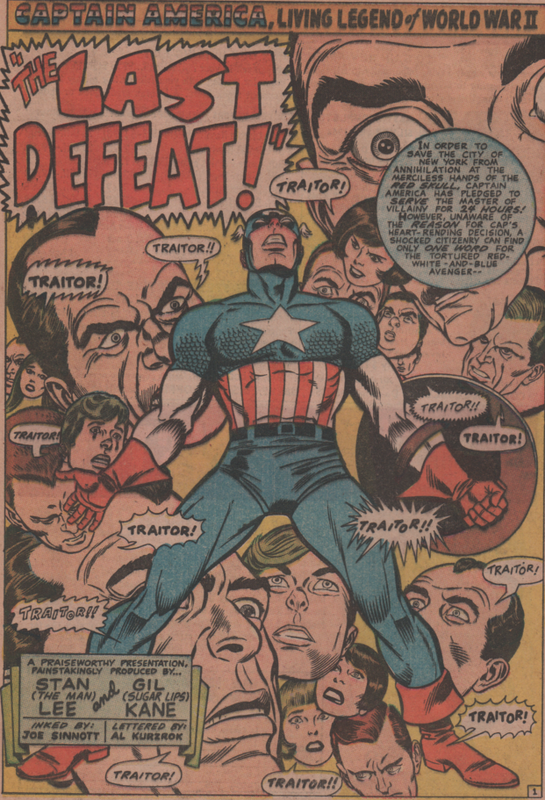 Take this issue for example. 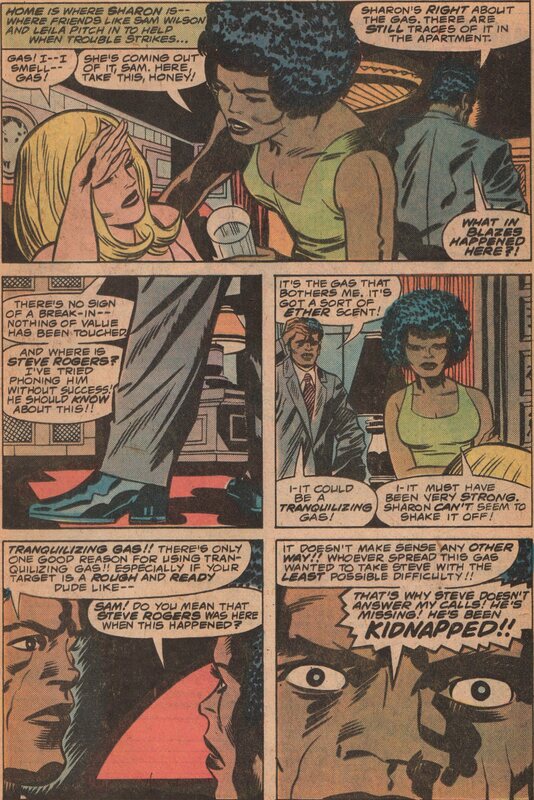 You get two stories, the first being a Dr. 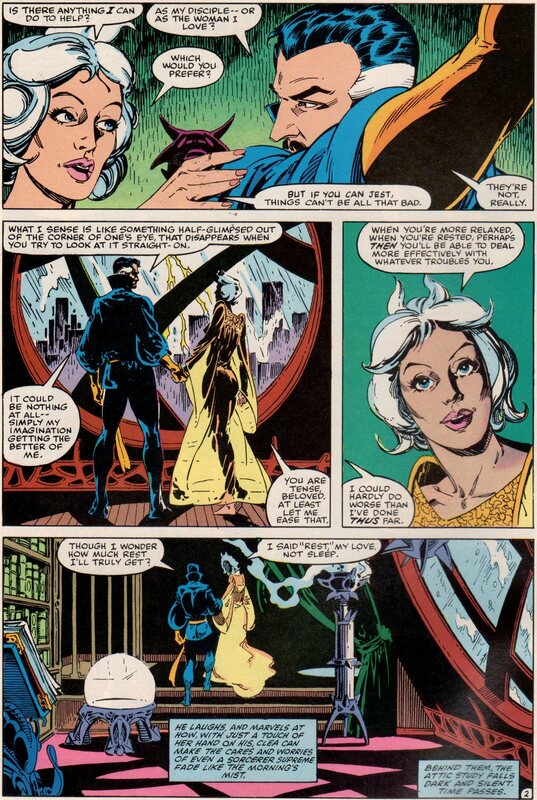 Strange and Clea adventure, as Nicodemus has returned, and threatens to usurp the Doc as the supreme magical being in the universe! 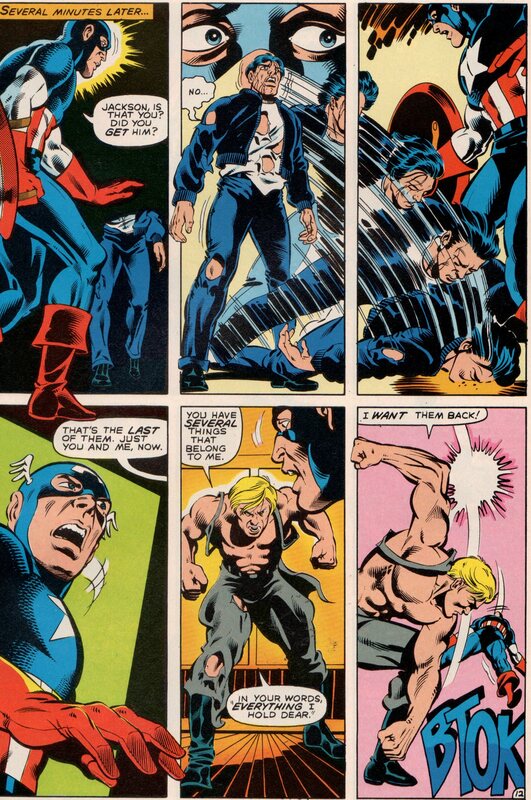 The second tale is one that shows Cap and Bucky in a battle during WWII. 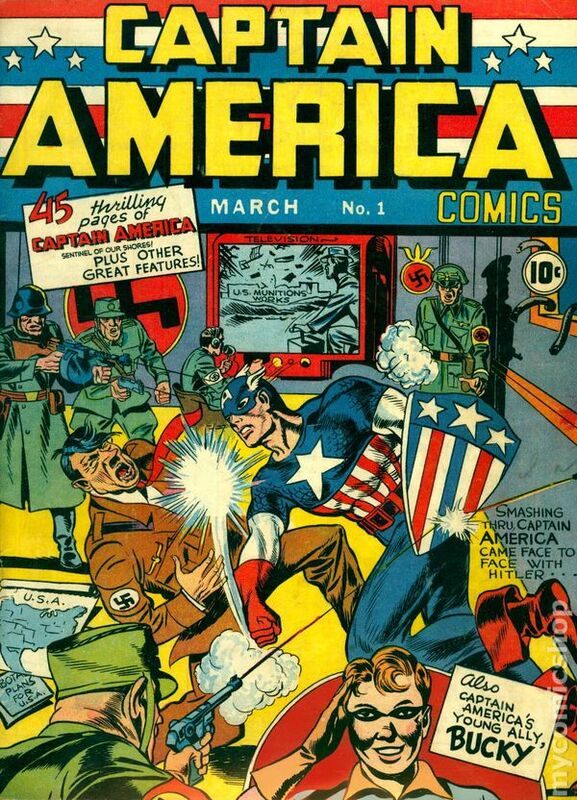 Not your typical battle though, and by the end, we get to see Cap in a Nazi uniform beating on a Nazi wearing his costume! 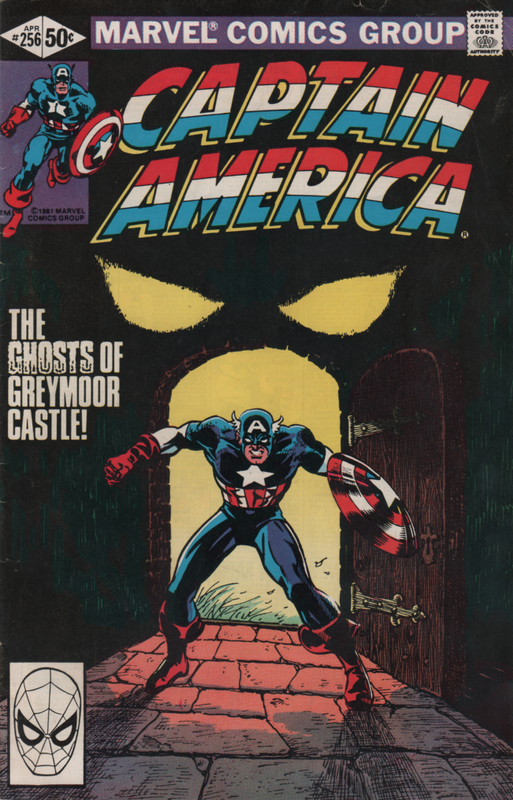 The cover is one that is fascinating, and we have Marshall Rogers and P. Craig Russell to thank for that! 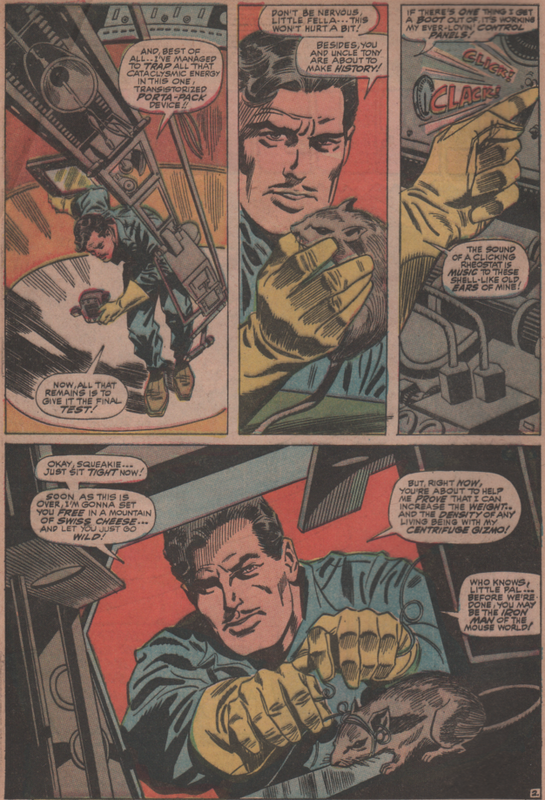 Both men have worked on the character of Dr. 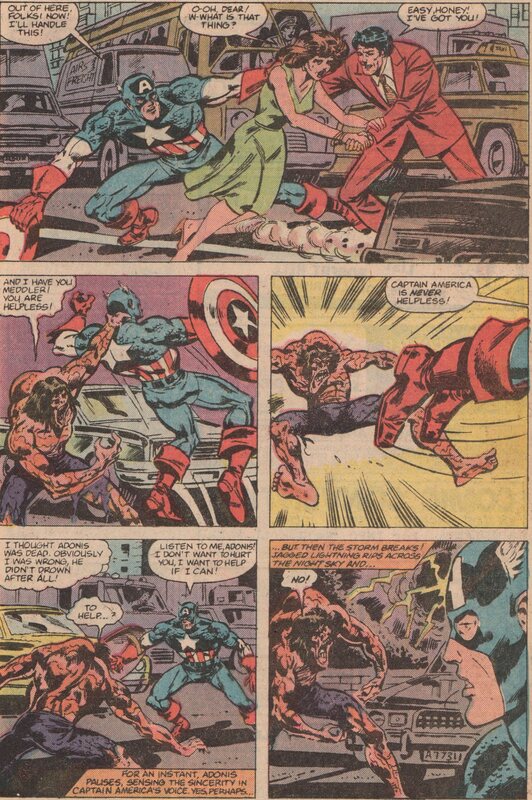 Strange before, and this is another feather in their caps! 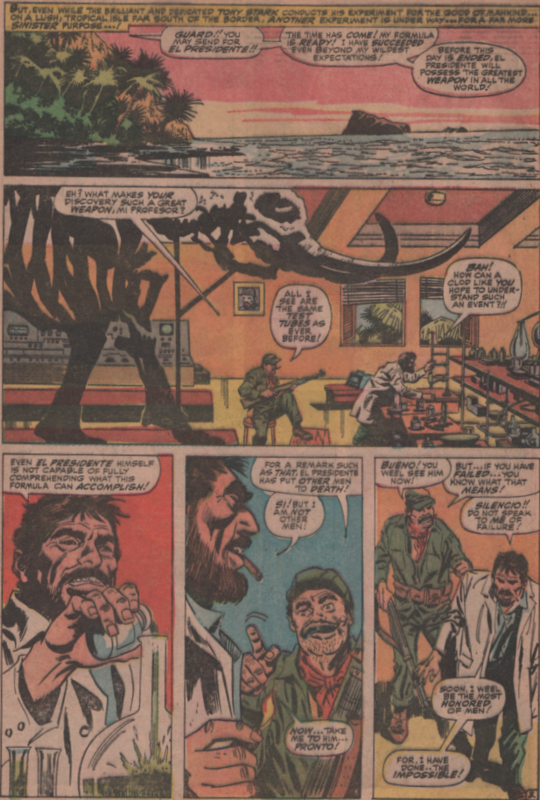 The story about Dr. 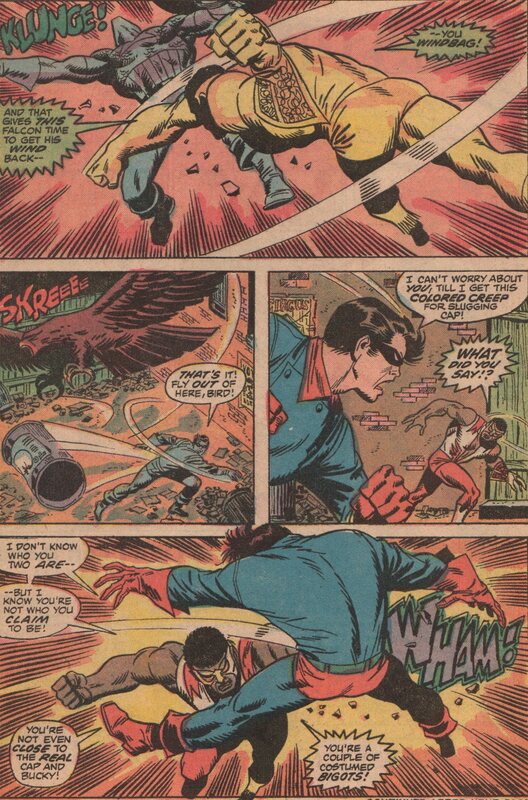 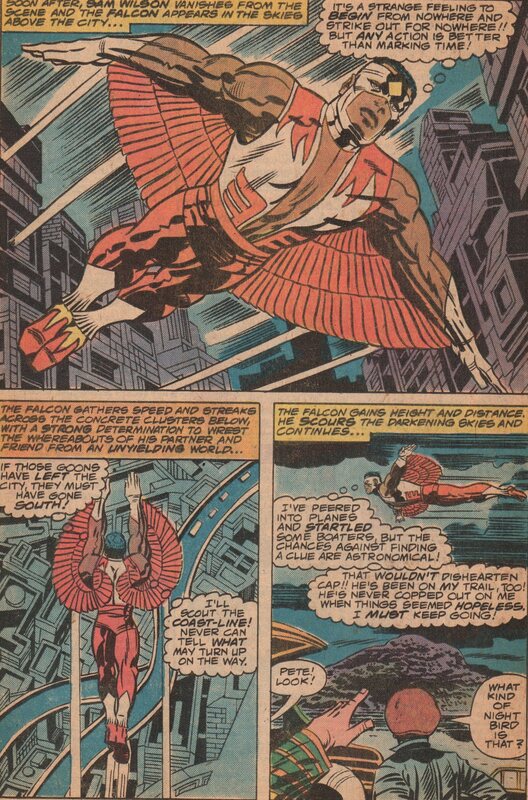 Strange features Chris Claremont (writer), Rogers and Russell on art (pencils and inks, respectively), Bob Sharen (colors), Joe Rosen (letters), and Al Milgrom (editor, both stories). 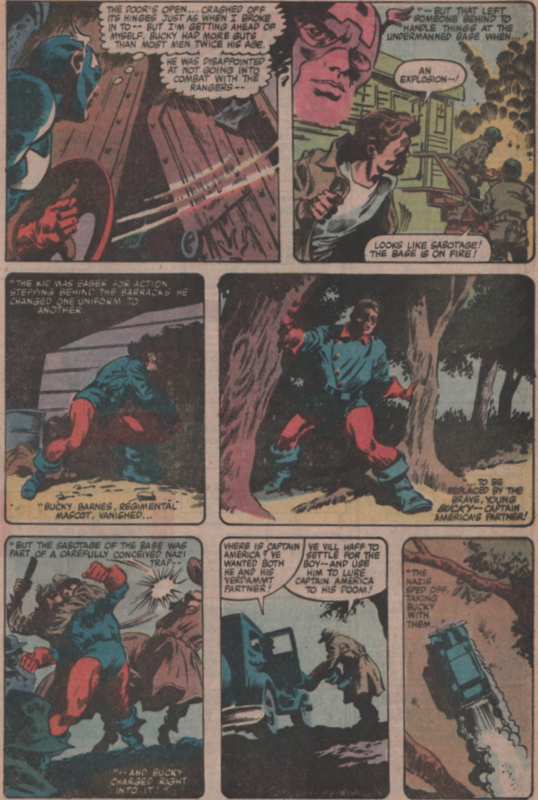 The Captain America story has “Ramblin'” Roger McKenzie (writer), Luke McDonnell (pencils), John Beatty (inks), Glynis Wein (colors), and Diana Albers (letters). 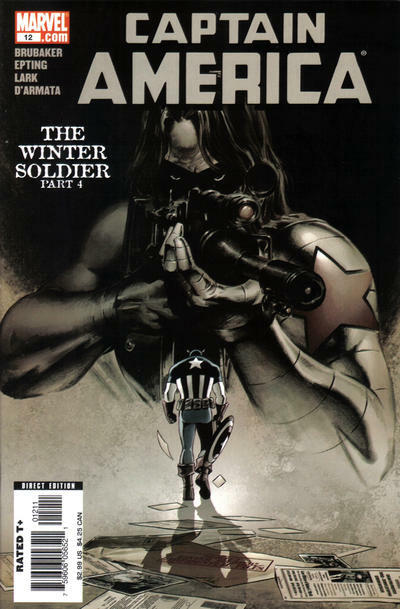 Get to the shop and grab some issues from this series, you wont be disappointed! 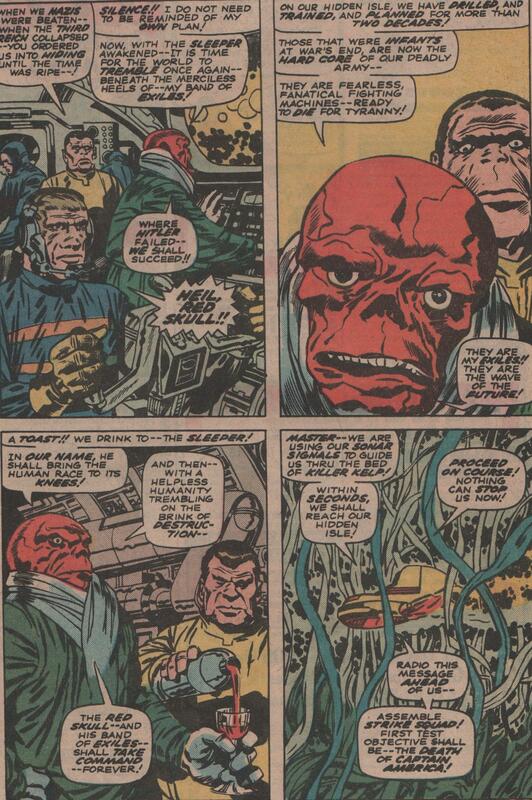 Any chance I get to grab some of Jack Kirby’s work, I don’t hesitate. 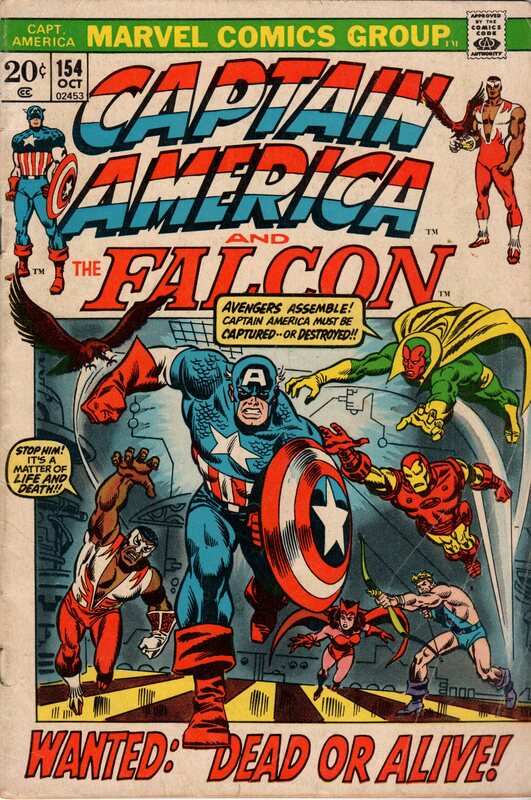 I know some people are sticklers for original stuff, but I’m just fine with grabbing a fifty-cent copy of a reprint title like this one. 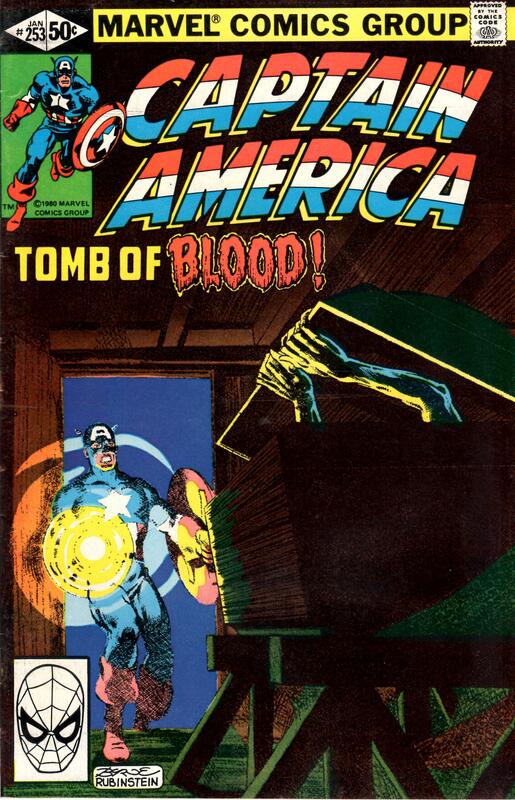 Yeah, sometimes there are slight alterations to the covers, but typically, the interiors are the same. 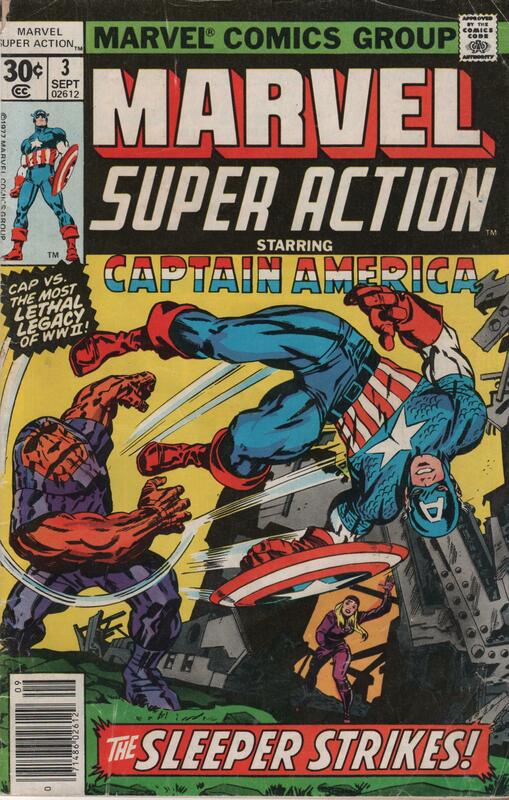 So, instead of trying to save up my pennies and buy a copy of Captain America #102 (1968), I’ll just look at my copy of this book (Marvel Super Action #3, 1977), and enjoy reading about the exploits of Captain America, and his fight against the Nazi weapon, the Sleeper! 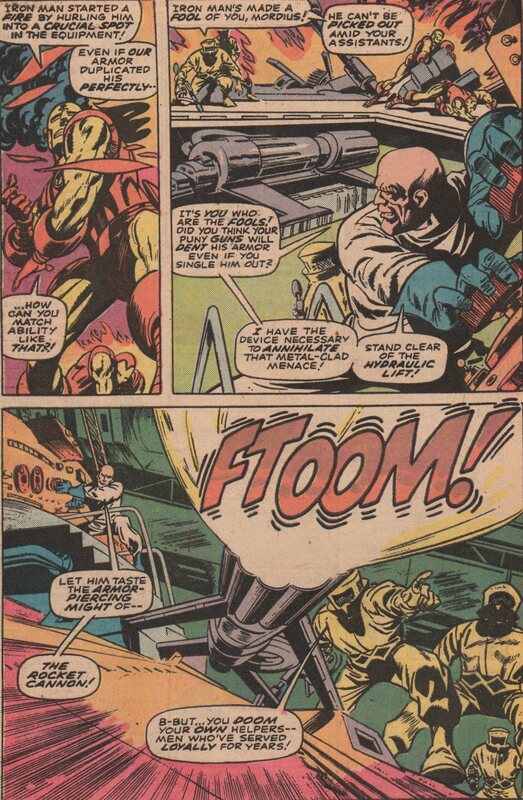 A guest appearance by Colonel Nick Fury, the love of Steve’s life, Sharon Carter, and the machinations of the Red Skull! 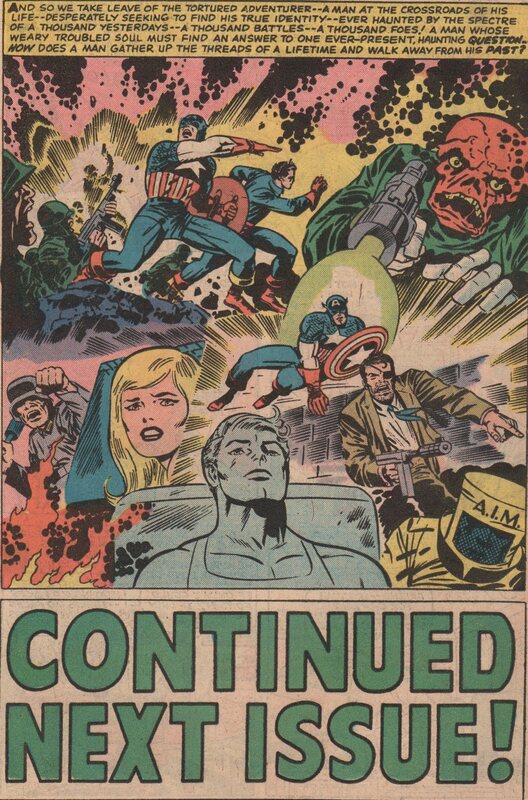 Of course, the story was scripted by Stan Lee, but the wondrous work of Jack ‘King’ Kirby is the draw. 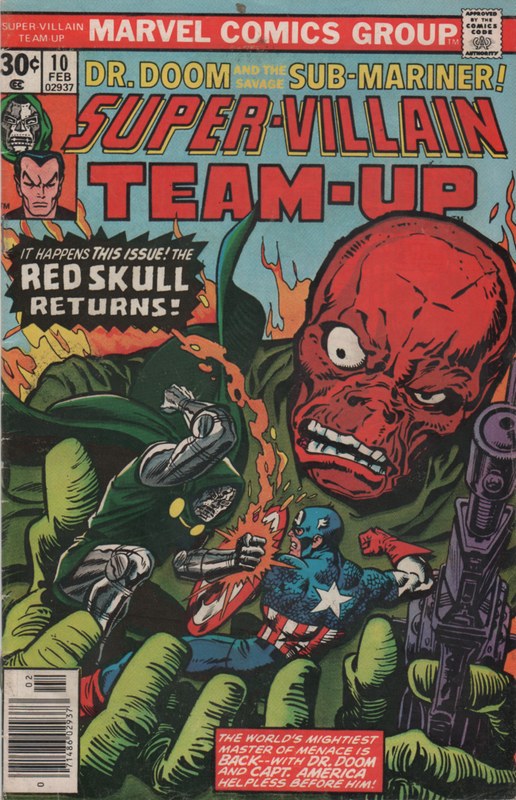 His style is perfect for a villain like the Red Skull, and the way he draws the Sleeper, is very frightening. 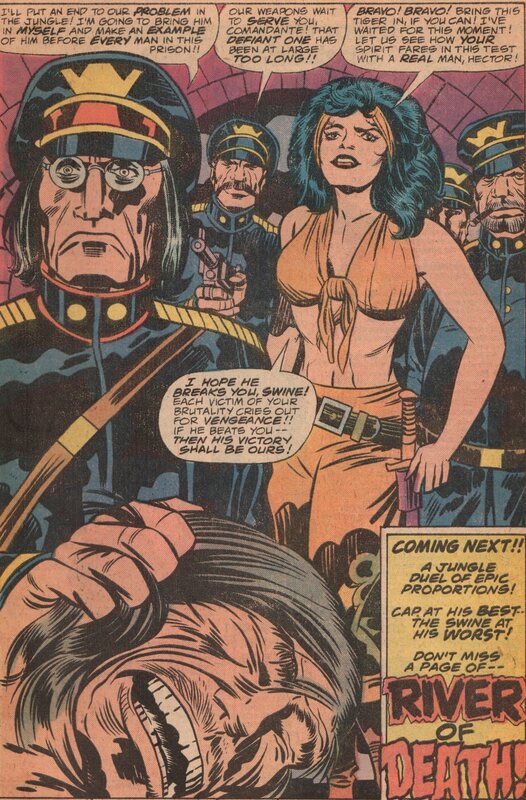 Of course, you get the usual, brilliance with Kirby drawing Cap and the beautiful Sharon Carter (A.K.A. 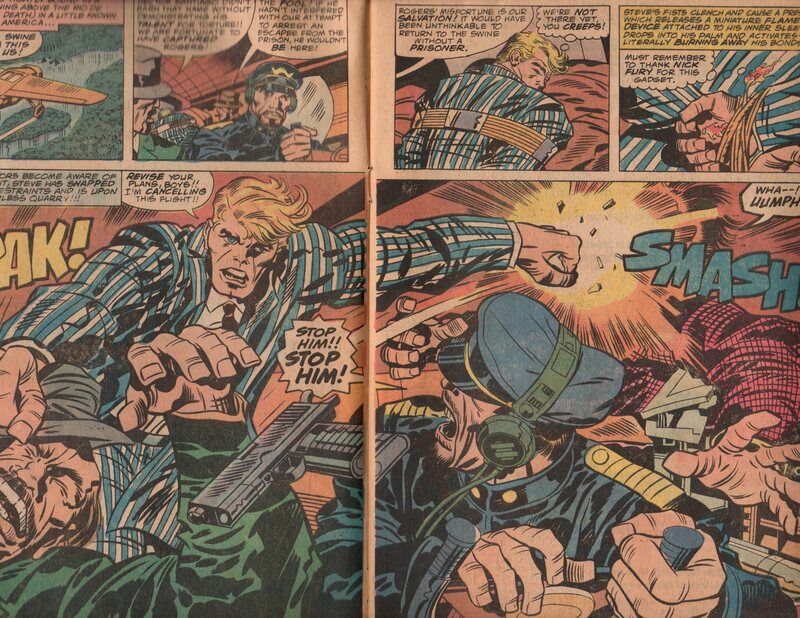 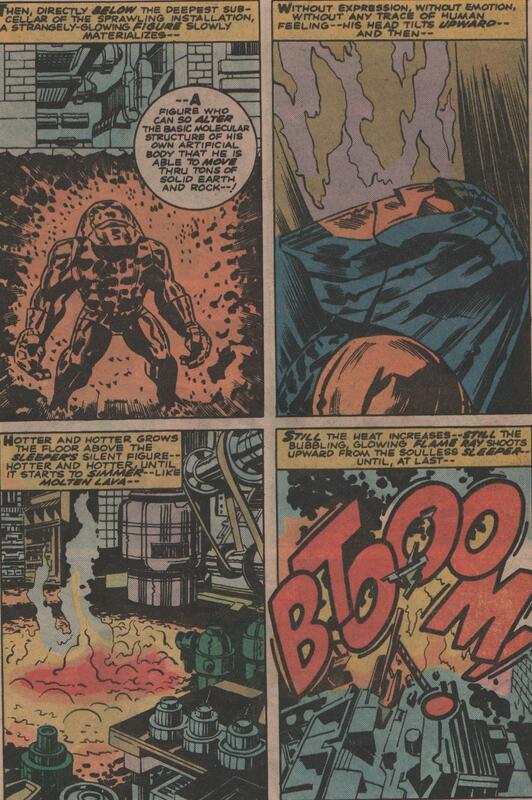 Agent 13), and the standard that Kirby set for that character will always be remembered! 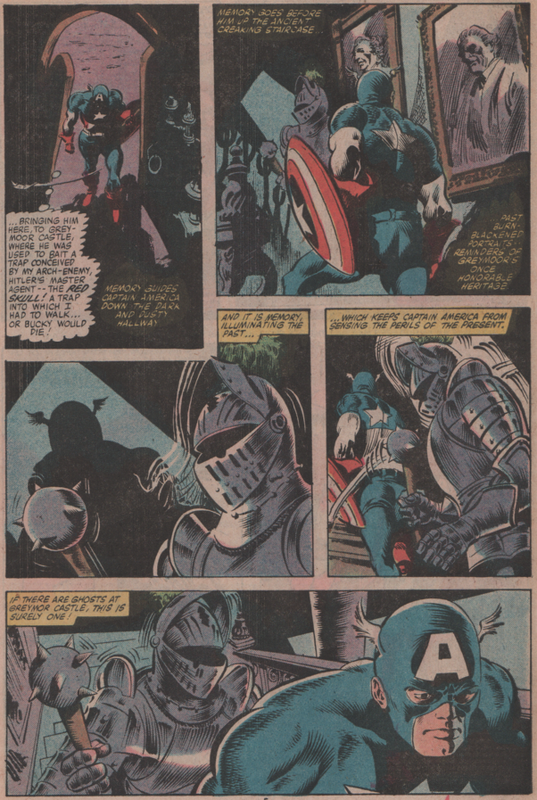 The inks are by Syd Shores, and letters by ‘Adorable’ Artie Simek.